Last edited by StarlingWings; 04-01-2019 at 01:55 PM. Thank you, yes this is Coconut. I will add another photo soon. 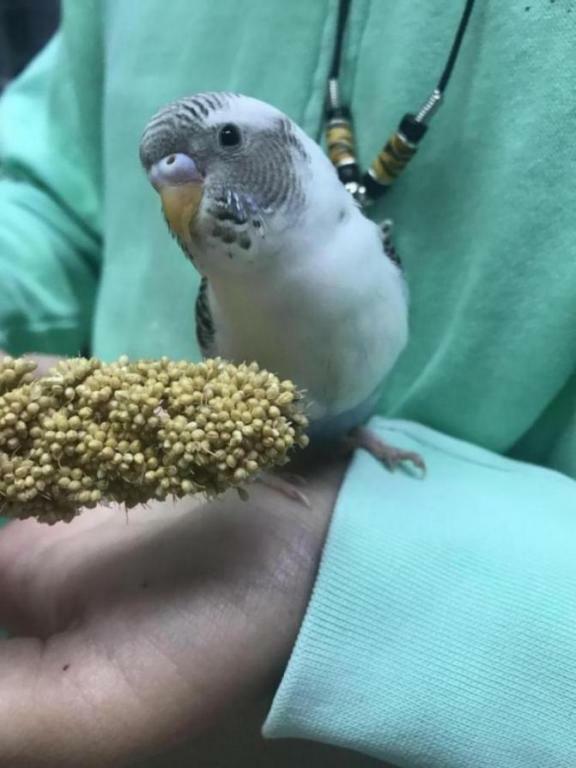 Coconut is a beautiful little female budgie. You think a girl? It is so hard for me to tell. The pied color makes me wonder too. 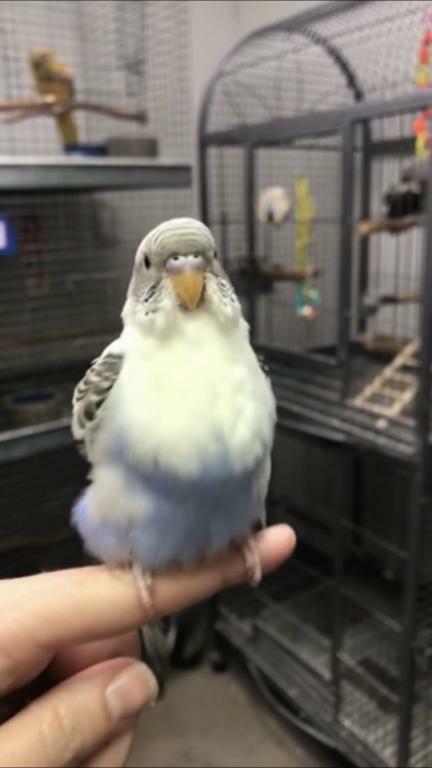 The cere is pinkish, blue with white. I love the guesses coming in. 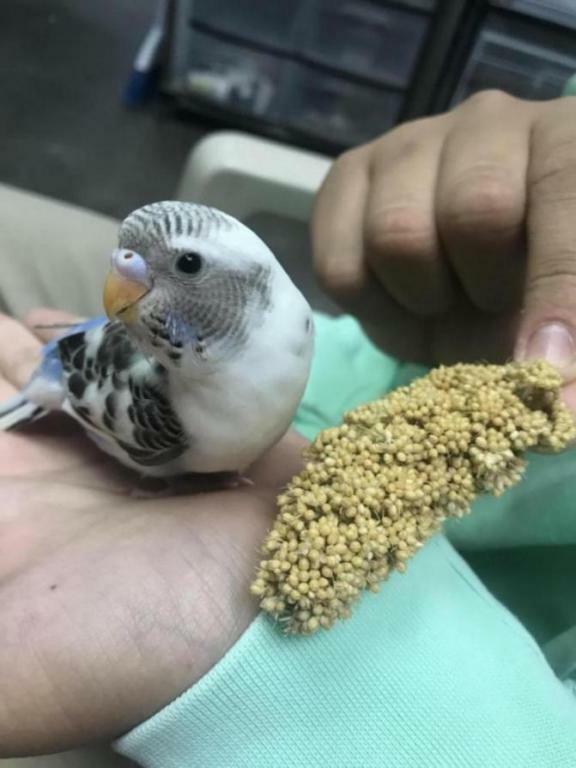 I think it is a girl. 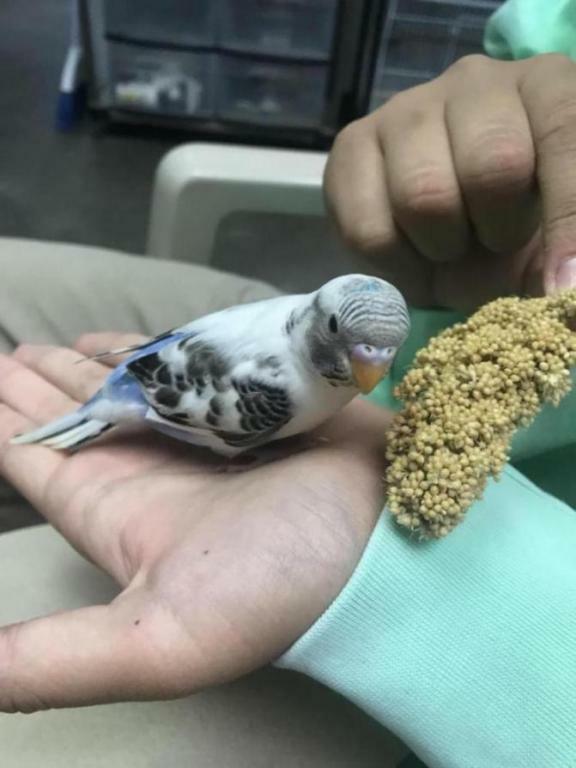 My son thinks it is a boy. So fun! Time will tell. 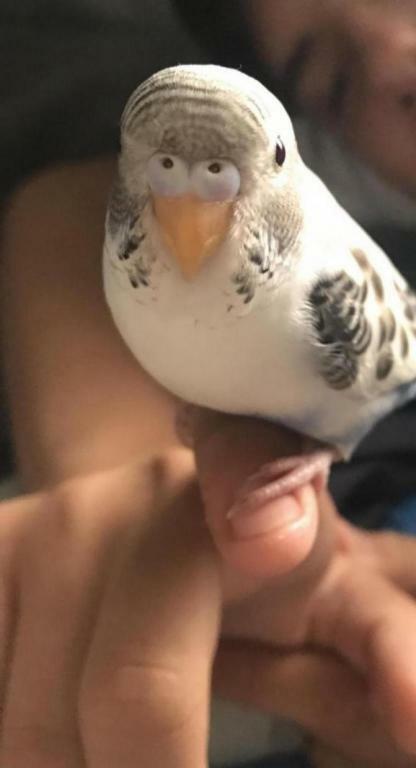 Coconut has the sweetest personality. I posted some more pics...your vote still for girl? Last edited by FaeryBee; 04-06-2019 at 07:54 PM. 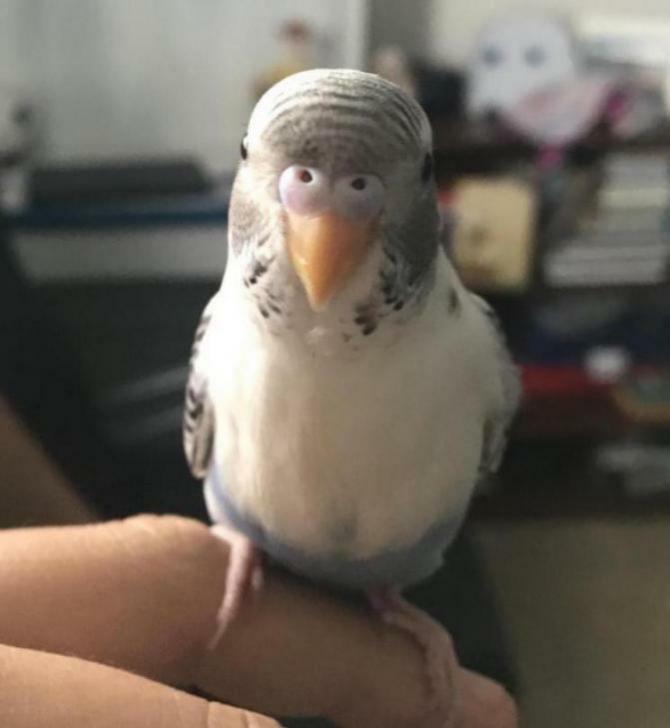 There is no question - Coconut is definitely a female. Girl with no doubt. 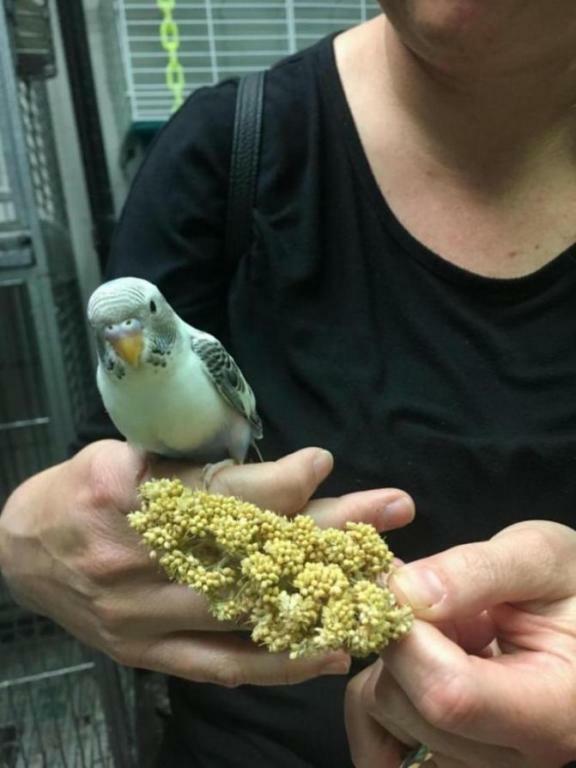 She has the typical cere color for a young female.